Why would I need self storage in Mountain View, CA? There are a variety of reasons why you might need self-storage in Mountain View, CA. How much is a storage unit in Mountain View, CA? The cheapest storage unit in Mountain View, CA is $60.00 per month. What size storage units do you have available in Mountain View, CA? In Mountain View, CA we have sizes that range from 5'x5' to 10'x32' to suit your storage needs. How much is it for a 5'x5' storage unit in Mountain View, CA? The cheapest 5'x5' storage unit in Mountain View, CA is $60.00 per month. Mountain View is a large suburb in California's Santa Clara County, bordering the cities of Palo Alto and Sunnyvale as well as San Francisco Bay. Although it may be considered a small city by California standards, it's been growing at an impressive rate in the past several years. During the week, the population swells dramatically due to the large influx of commuters who work at the city's many large businesses. 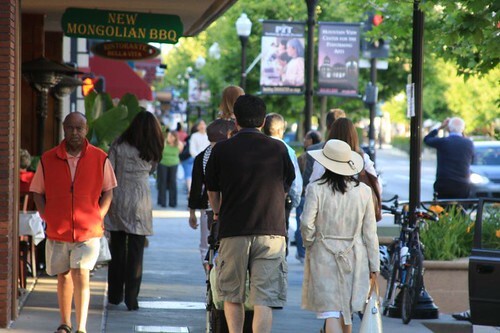 Several factors have contributed to Mountain View's growth, including a strong economy, pleasant residential neighborhoods with wonderful parks and services, and a strong and diversified economy. Mountain View sits between two large cities and the Santa Cruz Mountains of eastern California. Located 15 minutes from San Jose and about 35 minutes from San Francisco, there are plenty of big-city attractions just a short drive away. At home, you can enjoy the peaceful scenic beauty of the area, a bustling and thriving small downtown area, plus services and conveniences that include free parks and upscale art and cultural entertainment at the Mountain View Center for the Performing Arts. If you're an outdoors enthusiast, you can hike the nearby Santa Cruz Mountains, take a relaxed stroll through one of the many local parks or bike through the city's network of trails. Mountain View is considered part of Silicon Valley, California's hub for technology-based businesses. The city is home to some of the largest technology, biotechnology and telecommunications companies in the world. Google's global headquarters, Googleplex is located here, as is NASA's Ames Research Laboratory. If you're planning to look for a job in Mountain View, you'll find a number of jobs at the city's large technology companies. Among the largest employers in the area are Google, Microsoft, LinkedIn and Intuit. El Camino Hospital also provides a number of local jobs. Mountain View public schools are served by several different school districts, and the city is home to many highly-rated schools. There are also several nationally-recognized private schools in Mountain View, including parochial and international campuses. Utilities: Pacific Gas and electric is the city's central energy provider. The City of Mountain View manages residential water services, and you can request service activation on their website. Garbage and Recycling: You can expect regular collection of trash and recyclables in most areas of Mountain View. Transportation: At the Downtown Mountain View Station, you can access the city's many public transportation options, including light rail, bus and shuttle. There are several commuter rail options as well, providing easy access to San Francisco. Mountain View is one of the most expensive housing markets in California, with a median home price close to four times the state average. However, diverse properties such as single-story ranch homes, condominiums and multifamily units present affordable options for housing. Our lowest priced units in Mountain View, CA average $101.20 per month. 105 people have reserved units in Mountain View, CA in the past 30 days. There are 5 locations within Mountain View, CA's city limits. There is 1 location in Mountain View, CA that offers AC and Heating features.